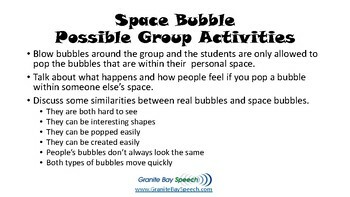 This activity is to help children understand the importance of their space bubble (personal space) and the space of others. On the left side of the worksheet, it explains clues to help children recognize if they are invading someone’s space bubble. 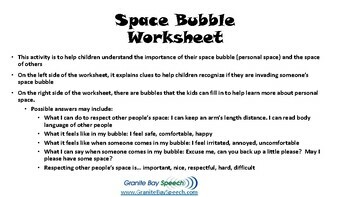 On the right side of the worksheet, there are bubbles that the kids can fill in to help learn more about personal space. 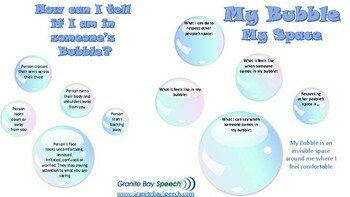 The worksheet is also accompanied by instructions and well as activity ideas to pair with the worksheet.